This post is actually about the poor quality and processing of historical climatic temperature records rather than metrology. 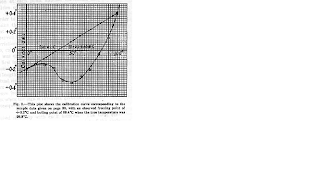 Conversion from Degrees F to Degrees C introduces false resolution into data. Metrology is the science of measurement, embracing both experimental and theoretical determinations at any level of uncertainty in any field of science and technology. Believe it or not, the metrology of temperature measurement is complex. Do you have a thermometer stuck to your kitchen window so you can see how warm it is outside? Let's say you glance at this thermometer and it indicates about 31 degrees centigrade. If it is a mercury or alcohol thermometer you may have to squint to read the scale. If the scale is marked in 1c steps (which is very common), then you probably cannot extrapolate between the scale markers. 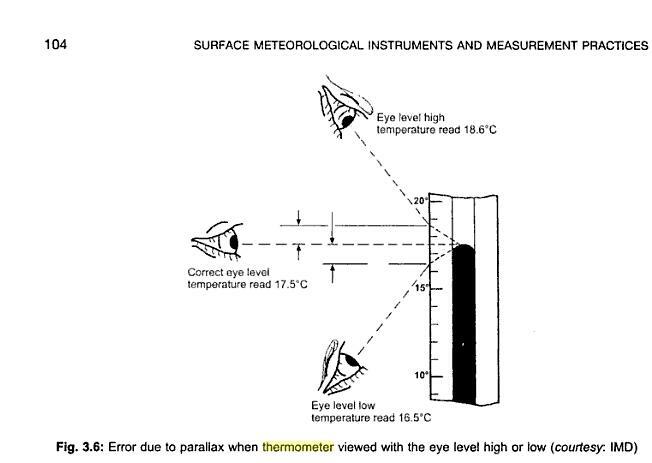 Another major common error in reading a thermometer is the parallax error. Image courtesy of Surface meteorological instruments and measurement practices By G.P. Srivastava (with a mercury meniscus!) 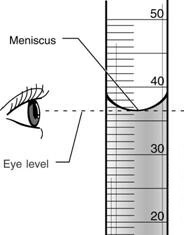 This is where refraction of light through the glass thermometer exaggerates any error caused by the eye not being level with the surface of the fluid in the thermometer. If you are using data from 100's of thermometers scattered over a wide area, with data being recorded by hand, by dozens of different people, the observational resolution should be reduced. In the oil industry it is common to accept an error margin of 2-4% when using manually acquired data for example. As far as I am aware, historical raw multiple temperature data from weather stations has never attempted to account for observer error. Electronic temperature sensors have been used more and more in the last 20 years for measuring environmental temperature. These also have their own resolution and accuracy problems. 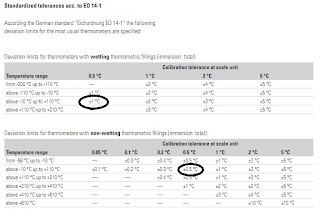 Electronic sensors suffer from drift and hysteresis and must be calibrated annually to be accurate, yet most weather station temp sensors are NEVER calibrated after they have been installed. 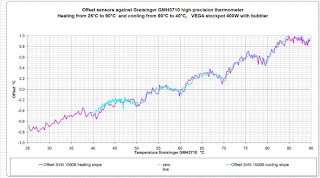 drift is where the recorder temp increases steadily or decreases steadily, even when the real temp is static and is a fundamental characteristic of all electronic devices. 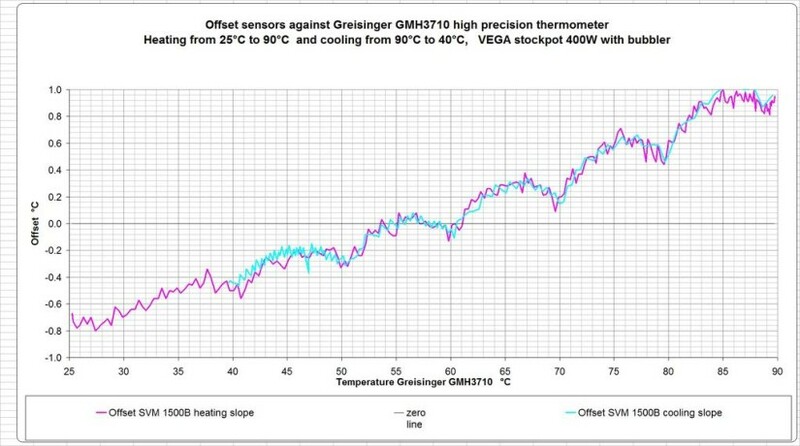 Drift, is where a recording error gradually gets larger and larger over time- this is a quantum mechanics effect in the metal parts of the temperature sensor that cannot be compensated for typical drift of a -100c to+100c electronic thermometer is about 1c per year! and the sensor must be recalibrated annualy to fix this error. But on top of these issues, the people who make these thermometers and weather stations state clearly the accuracy of their instruments, yet scientists ignore them! a -20c to +50c mercury thermometer packaging will state the accuracy of the instrument is +/-0.75c for example, yet frequently this information is not incorporated into statistical calculations used in climatology. Finally we get to the infamous conversion of Degrees Fahrenheit to Degrees Centigrade. 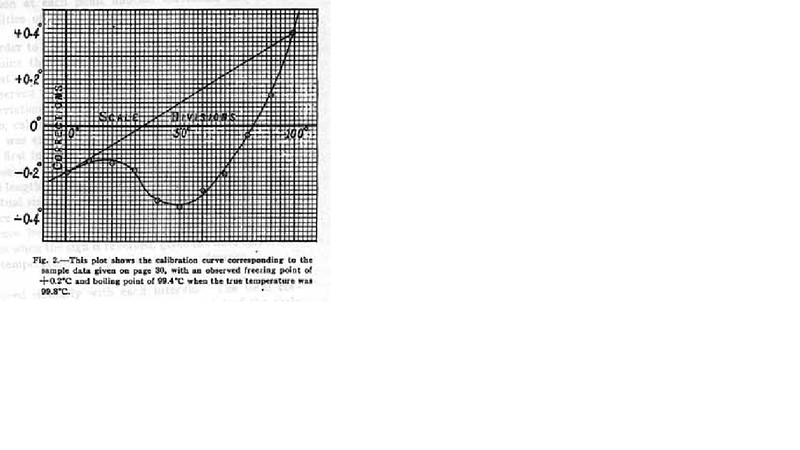 Until the 1960's almost all global temperatures were measured in Fahrenheit. Nowadays all the proper scientists use Centigrade. So, all old data is routinely converted to Centigrade. take the original temperature, minus 32 times 5 divided by 9. This is usually (incorrectly) rounded to two decimal places =: 15.56c without any explanation as to why this level of resolution has been selected. 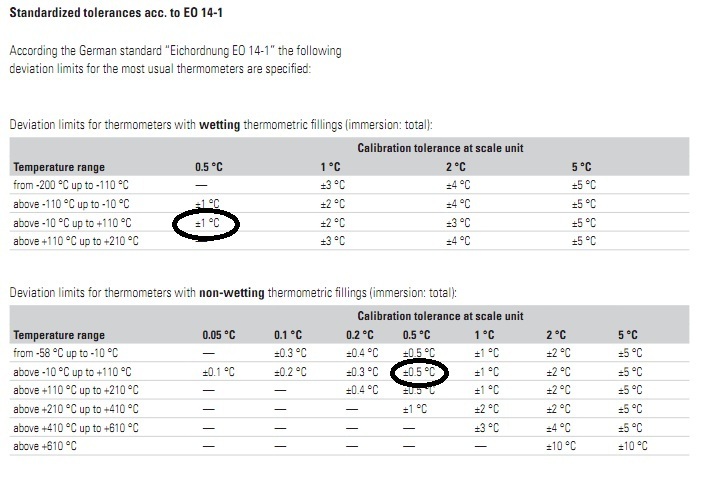 If the original resolution was 2 degrees F, the resolution used for the same data converted to Centigrade should be 1.1c. 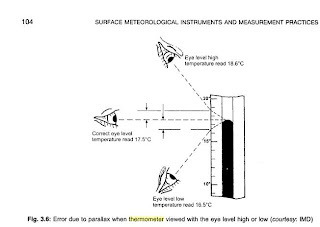 In conclusion, when interpreting historical environmental temperature records one must account for errors of accuracy built into the thermometer and errors of resolution built into the instrument as well as errors of observation and recording of the temperature. The resolution of an astute and dedicated observer would be around +/-1F. There goes with certainty all the global warming so far. Thanks. The date on which the jalopy crashes through the ice on Lake Wobegon would seem to be a better climate indicator than temp records then. Or at least ancient tourists' reports about the surface level of the Dead Sea. For what it's worth my nephew found the skull of an American lion C14 dated at 19ky on Birch Creek in Alaska, which gives us an idea of how long the permafrost had been frozen--at the beginning of the last big melt, for the little sense that makes. I was just reading that Metrology article and had a thought. In the mid 80′s (I think it was) there was a movement to change the rounding convention of .5 to the closest even number, rather than up to the next number. The idea was that rounding up was biasing numbers up, but parity doesn’t really matter. I wonder if a) someone’s reading of a thermometer is influenced by the current rounding convention(***), and b) whether anyone has ever studied the effect of a convention shift on anything important. Check out our latest Digital Thermometer Collection.